Several residents and first responders came to help victims of a one-vehicle crash on Interstate 10, Harrison County. 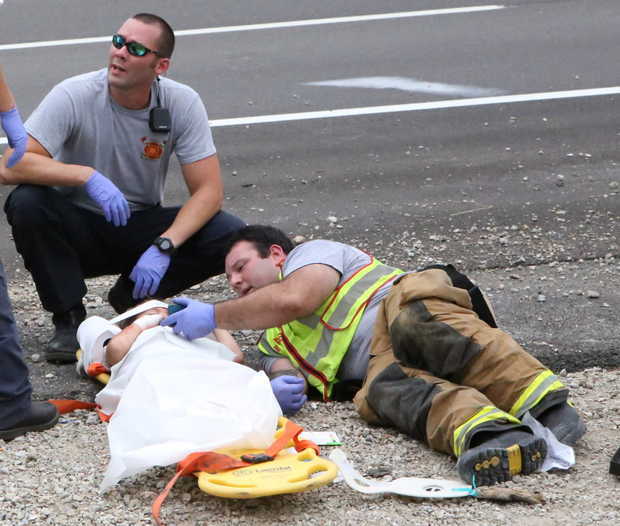 In the photo above, Firefighter Casey Lessard, plays a cartoon on his cellphone to calm an injured child at the scene of a single-car wreck on the Interstate 10 eastbound exit near the D’Iberville Boulevard overpass. Casey, you are THE man! Firefighters, and all the emergency services, are real-life heroes and we are all so grateful for their help and bravery. Oh my, that is amazing! Thank you for sharing this story!! !